2008 Osage Ambulance, Ford E-Series. Advanced Life Support capabilities. 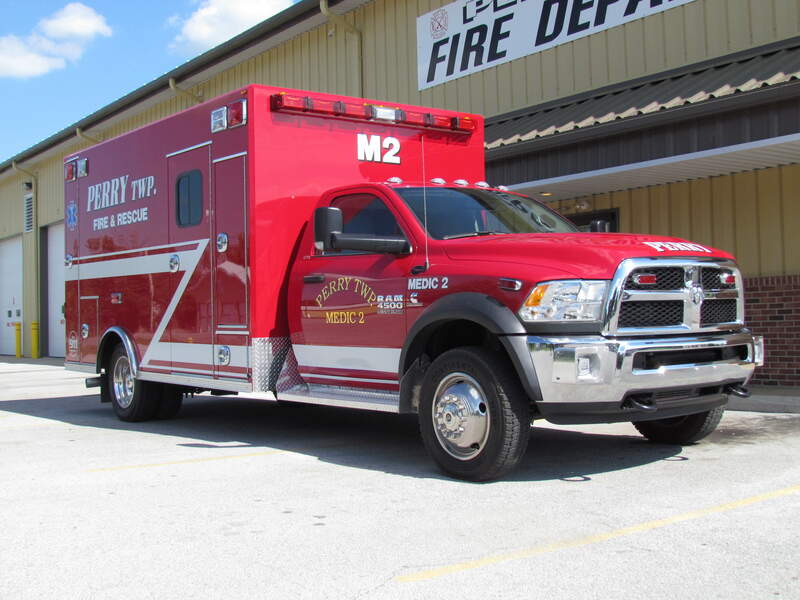 2016 Osage Ambulance, Ram 4500. Advanced Life Support Capabilities. 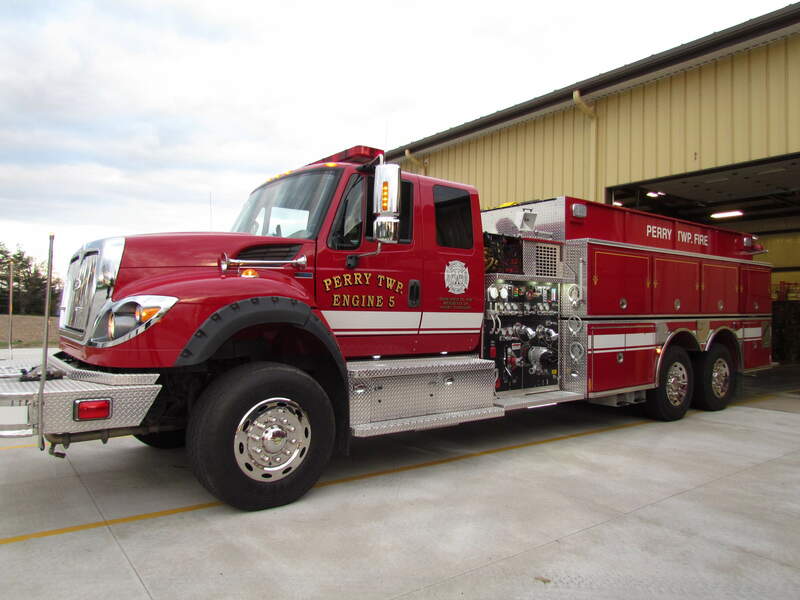 Brush Truck, 2001 Ford F-350 Super Duty. 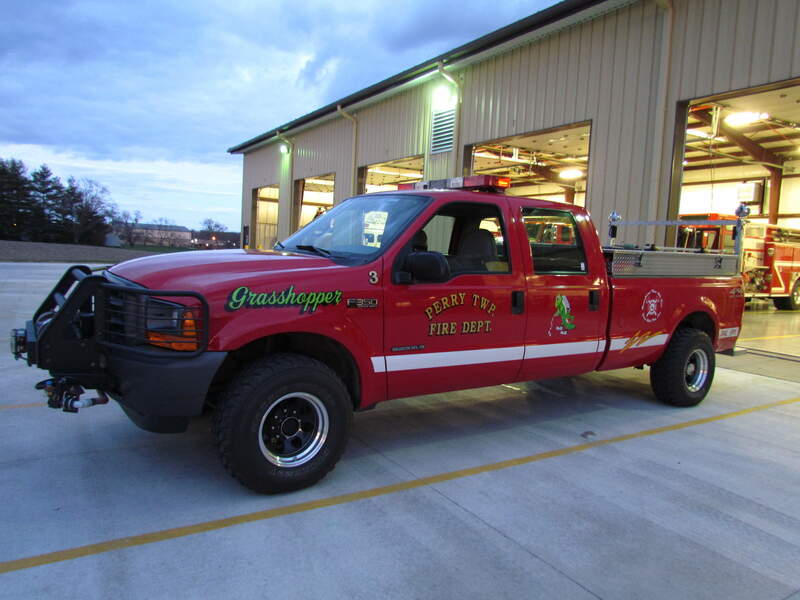 Used for field, brush and natural vegetation fires. Holds and pumps 300 gallons of water. 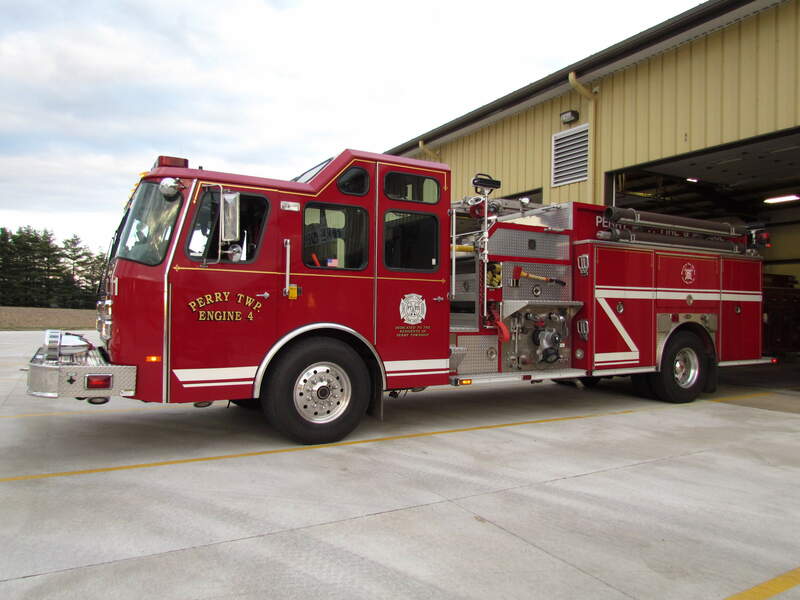 Engine, 1999 E-one. Front line apparatus for all hydranted areas and rescue emergencies. Holds 750 gallons of water with 60 gallons of total foam and a 1500 gallon per minute pump. Engine, 2012 Pierce. 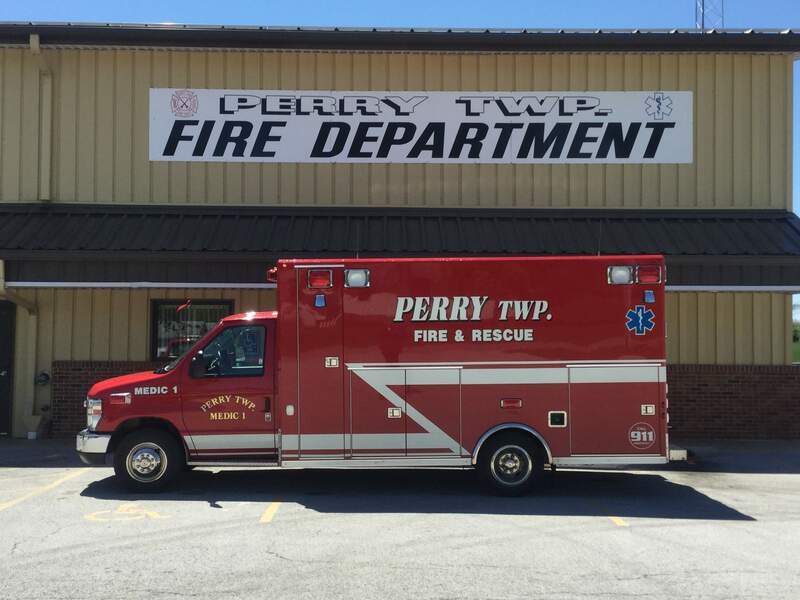 Used as a pumper/tanker and first line for Mutual Aid response. Holds 2500 gallons of water with a 1500 gallon per minute pump. This apparatus has three jet dumps. One is located on the rear and one on either side of the apparatus. These are used to quickly off-load water into portable tanks. Engine, 1991 E-One. Front line apparatus for all non-hydranted areas. Holds 1500 gallons of water with a 1250 gallon per minute pump. 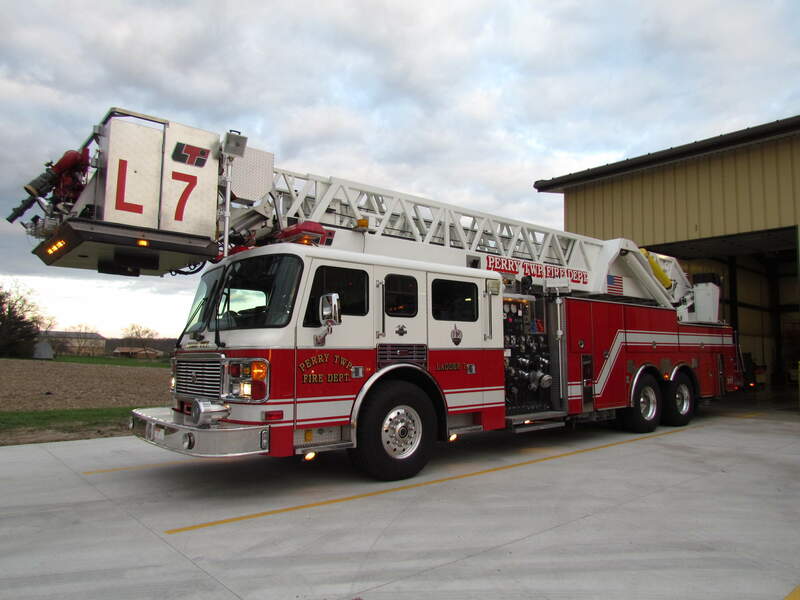 Ladder, 2002 American LaFrance with an LTI Ladder. Responds to all commercial fires, alarms, special incidents and major fires. Holds 300 gallons for water with a 2000 gallon per minute pump and a 100' platform. 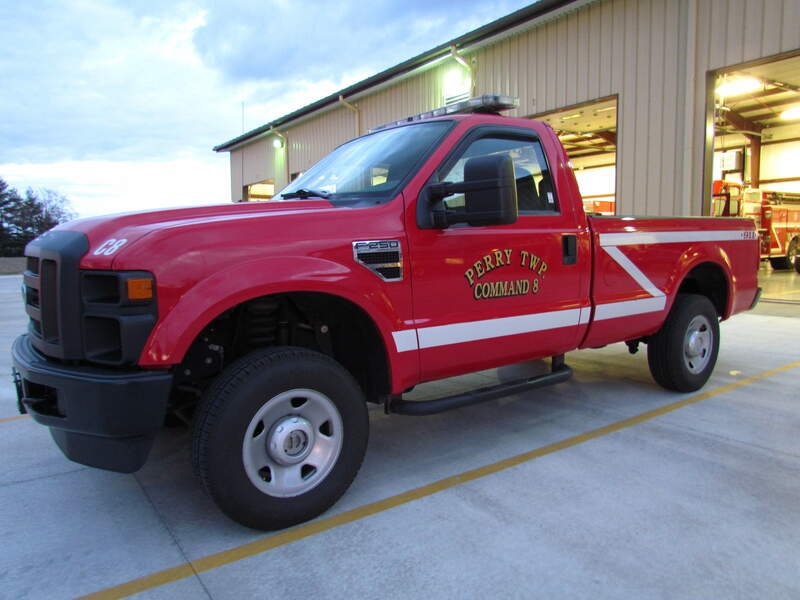 Command, 2009 Ford F-250 Super Duty. Command vehicle on emergency scenes.